Probiotic and prebiotic coffee are among the latest addition to an ever growing market. There are a few good products on the market, but you can also make your own. You probably can't make a probiotic coffee, it would be too complicated, but you can always take probiotic supplements, or eat probiotic fermented foods. But you can definitely make your own prebiotic coffee, and I'll show next how to do it. Note that real coffee has prebiotic effects according to a study conducted by Nestlé Research Center. The researchers have discovered that the bacterial count of Bifidobacterium spp. has been increased after drinking coffee for three weeks. The Nestle study has also discovered that the bifidobacterium populations have become more active. However, in order to improve all probiotics counts, you need to have other prebiotic types, and here are a few delicious ideas on how to prepare them in a prebiotic coffee, (caffeine free). The second problem stems from the same issue. Because of the temperature restriction, you can't brew regular coffee, and you can only use instant coffee. If you are OK with a colder cup, here is one of the best probiotic coffee products, which has a few good reviews on Amazon. It has enough probiotics, (CFUs), to make a difference for your health, it tastes great, and is made with great ingredients. Give it a try. 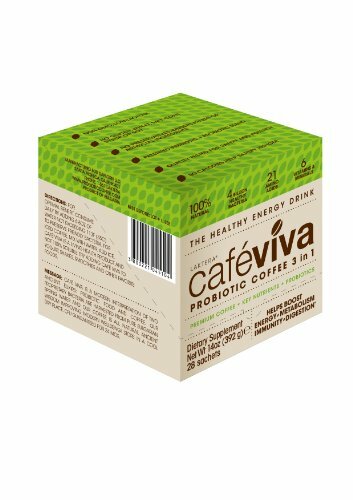 The probiotic coffee "Cafe Viva" is a not only a great coffee, but it is loaded with 4 billion CFU of probiotics. This way you enjoy both the health benefits of the probiotics, and the great benefits of a great cup of Joe. So think about cafe Viva as a great supplement for your health, and a great cup of coffee in the morning. A prebiotic coffee is so much simple to get, and there are no temperature restrictions for brewing. You can buy pre-blended prebiotic coffee, which is the easiest way, or with a minimum effort, you can make your own. The advantage of making your own is that you can choose your coffee to prebiotic ratio, you can choose the amount of caffeine, and you can choose your favorite coffee, (those Brazilian beans roasted to perfection). Just use almost any of the coffee substitutes on the market, use any instant type and make sure it's made from chicory and, or dandelion root. Both of these contain a lot of inulin, one of the most known, and used prebiotic fibers. Use one or two teaspoons of coffee substitutes, and one of instant coffee, (the real stuff). Brew it as you would brew instant coffee. You can adjust, according to your pick-me up needs, the quantity of instant coffee in your brew. Add sugar and creamer to your taste. If you are on a Candida diet, you might want to use a sugar replacement. If you just want something to drink, and it's similar to coffee, and you don't need the caffeine, just don't use the instant coffee in your recipe. 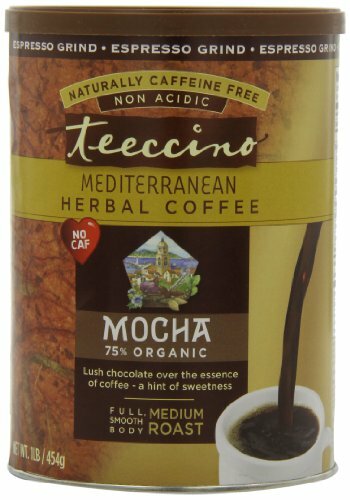 Teecino is one of the best coffee substitutes on the market. It is one of the best sellers on Amazon on its category, and it's very appreciated for its great taste, coffee-like, and it is a healthy choice for many reasons. It is caffeine free, allowing you to cut down on the caffeine intake, whether you mix it with some real Java, or drink it plain. It contains inulin, a dietary soluble fiber, that promotes the health of your digestive system. More about prebiotic soluble fibers. This second recipe is a more potent prebiotic, for those who need a real boost. I drink this prebiotic coffee once a day, in the afternoon. I brew it without any caffeine, because i don't drink coffee after 1:00 PM, but you can adapt this, by adding an extra teaspoon of instant coffee. 1 - 3 teaspoons of acacia gum. Start with 1 teaspoon to let your gut adjust to the quantity. Increase the quantity in time, over two weeks. Mix the dry ingredients with a teaspoon, and start to add a little cold liquid wile stirring. You should get a thick consistency, cream like, paste. Slowly add the cold water or creamer, while stirring, until you get it the paste liquid. Now you can pour hot water up to the rim, while still mixing. Enjoy it! 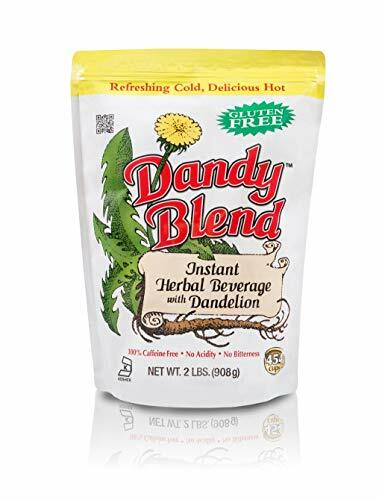 Dandy Blend is a mix of roasted chicory and dandelion roots, that simulates coffee taste. The blend also contains roasted beets, barley and rye. All the ingredients in the mix are important sources of prebiotic fiber, so the final product is loaded with inulin and other prebiotics. In fact if you would eat that much fiber you would have some serious stomach cramps and bloating. However, during roasting, a lot of the inulin is converted into sugar, hence the beverage is a little sweet, most people wouldn't need any sugar. This prebiotic/probiotic shake recipe is a great starting example for anyone that wants to eat healthy and tasty. There is no reason to give up the joy of eating, or drinking a shake, we can have delicious and healthy shakes. This is not your ordinary probiotic food, it is packed with a lot of good bacteria and soluble dietary fiber. Synbiotics are the best way to ensure a maximum benefit from the ingested probiotics. The term refers to the synergy created by getting both probiotics, and prebiotics to feed the human microbiome. The list of foods containing prebiotics is quite large, and there are a lot of delicious foods with a high content of prebiotic fibers, and if you plan properly your daily diet, you shouldn’t need supplements. However, prebiotics need to be carefully balanced with probiotics, otherwise they can cause a lot of abdominal discomfort.